A traditional style polished chrome bathroom wall light, with crystal decoration, an alabaster glass bowl shade and pull cord on / off switch. 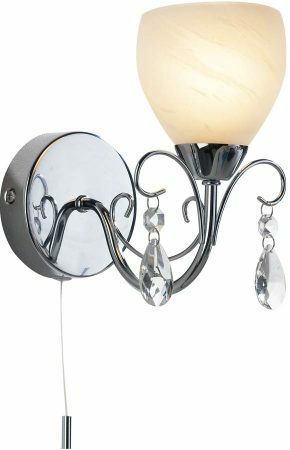 A lovely decorative bathroom wall light for the more traditional bathroom. There are matching fittings in the Crawford bathroom lighting range that can be viewed below and includes five and three-light chandeliers.